Constant oxygen access for roots. The Amazon is the highest-yielding aeroponic growing system and it offers the exceptional root development of an aeroponic cloner throughout the full lifecycle! 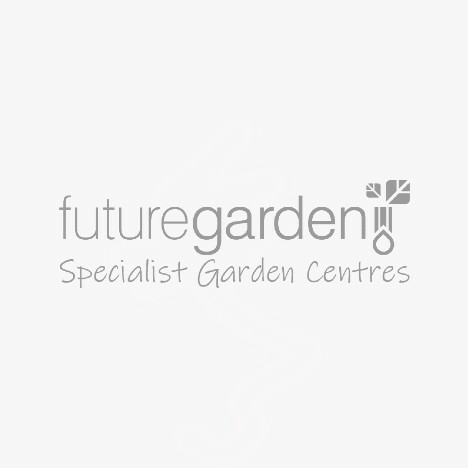 Here at Future Garden, we can tailor these systems specifically to your requirements by drilling as many holes as you need! It all depends on how large you are prepared to grow each plant, as a single plant in the system can fill out a whole tent if given enough time. If time is limited, as many as 32 holes can be drilled in each unit, which will decrease the amount of vegetation required to fill out the space. Expertly engineered - The mist mechanism has been expertly engineered to provide a perfect balance of oxygen and nutrient solution without the need for a high-pressure pump and the misters are built to last. The Amazon enables virtually 100% of the roots to be exposed to oxygen virtually 100% of the time - as oxygen is so important for root growth, plant health and yield size it's no surprise that the Amazon produces the biggest yields. The misting mechanism took years in development so that the water droplet size is perfect. Too large a water droplet means less oxygen is available to the root system. Too fine a water droplet produces excessive root hairs and not enough lateral root system. Please Email us and specify how many holes you require in your system. Purchases that do not specify will be sent with 4 holes in the single model and 8 holes in the double system. Just send us an email if you require more or fewer holes. A tank/reservoir, which is the base of the system and holds the nutrient solution. Spray bar, which sprays the chamber to give the perfect mix of nutrient solution to air for the roots. A top tray, which closes the chamber and prevents light from effecting roots. 80mm Net pots only need a handful of clay pebbles and allow the air and mist through. Neoprene 80mm collar sits inside the net pot, supporting the plant and preventing light from entering the chamber. Newa Maxi MJ 1000 pumps the nutrient solution through the spray bars into a fine mist which nourishes the roots. The return water getting funnelled through channels and passes back into the reservoir. The pump must be left on all the time while plants are in the system. The holes must be blocked so no light can get into the reservoir. If light does enter, algae may grow in the nutrient solution which can lead to blocked lines. You can transplant young plants into this system straight from propagators that use misting, or from rootbound rockwool cubes or rootbound jiffys. There must be a strong root network before a plant is put into the system.